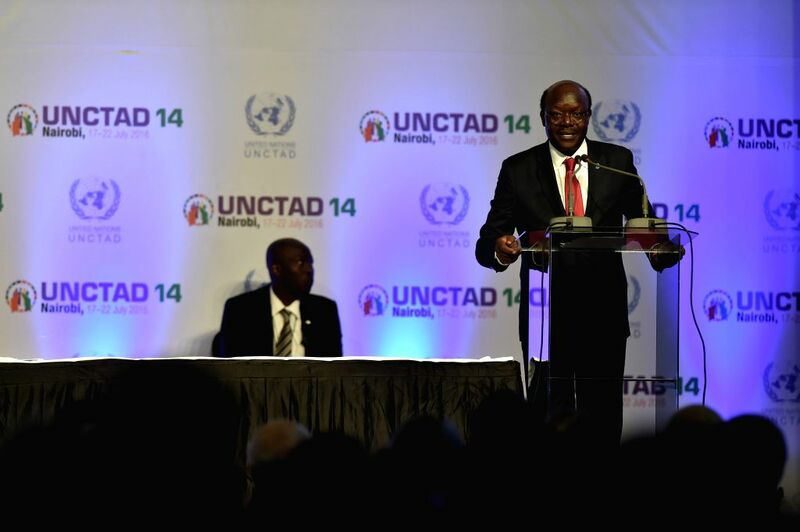 NAIROBI, July 23, 2016 - Kenyan President Uhuru Kenyatta (Front) delivers a speech during the closing ceremony of the 14th session of the UN Conference on Trade and Development (UNCTAD 14) in Nairobi, Kenya, July 22, 2016. 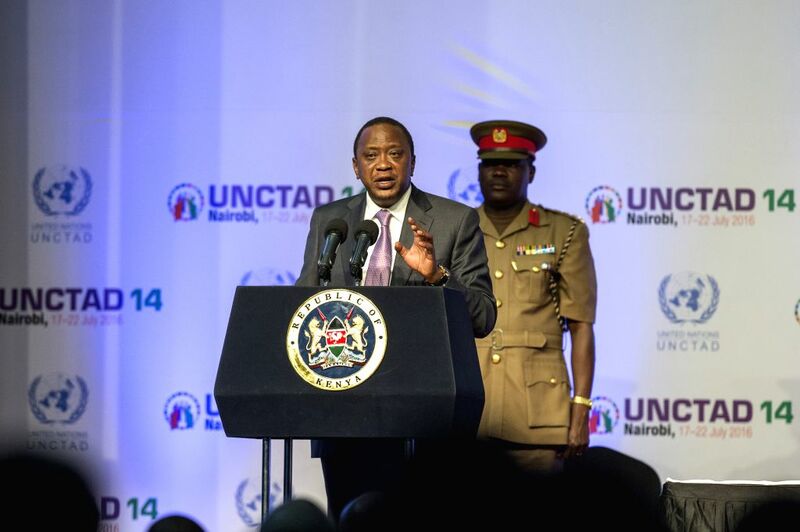 Kenyan President Uhuru Kenyatta has lauded an agreement which was sealed in Nairobi during the week-long UN trade conference. Mukhisa Kituyi, Secretary-General of the UN Conference on Trade and development (UNCTAD), speaks during the closing ceremony of the 14th session of UNCTAD in Nairobi, Kenya, July 22, 2016.